Yet, as if out to prove his dramatic chops to himself and his colleagues, Jackman obviously relishes the opportunity to complicate what is essentially a character born out of two dimensions. 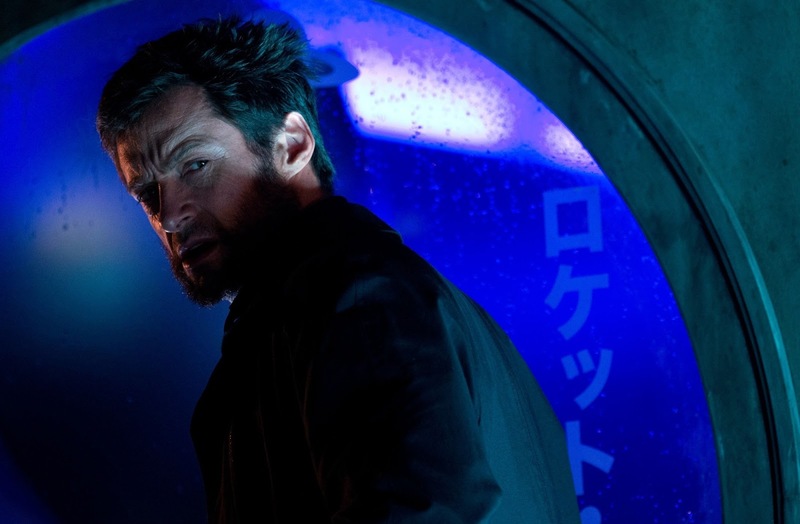 Producer Jackman was finally able to convince Fox to adapt one of his favorite and most defining plotlines for Wolverine, Chris Claremont and Frank Miller's 1982 "Japanese saga." Perhaps it was because of the execrable previous entry, X-Men Origins: Wolverine, in which we learned much sillier elements of Logan's backstory than we may have wanted to. You won't see Jackman duelling Ryan Reynolds atop a CGI-drawn nuclear reactor in this one. Nor is any precious time wasted on Wolverine's origins. The Wolverine deconstructs its protagonist, jettisoning most of the X-Men's hokey mutant mythology and racism baggage in favor of his attractive opacity, transforming Logan from societal outcast into foreign interloper. 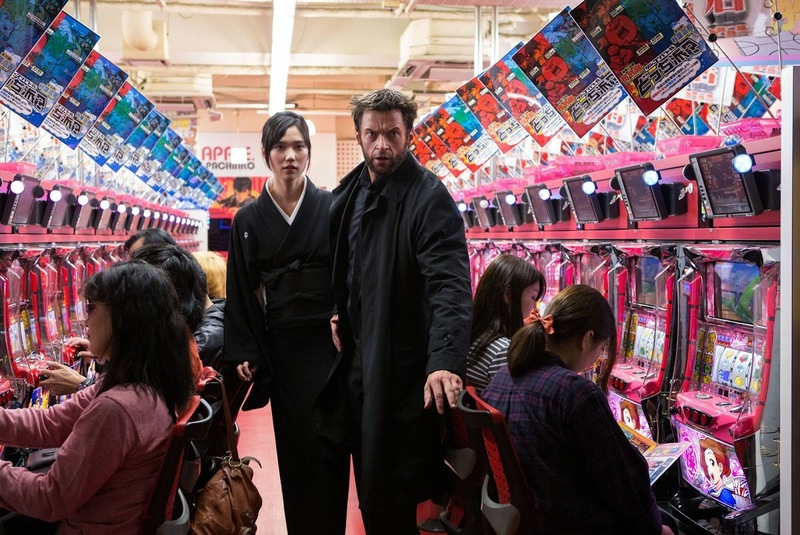 Logan returns to Japan at the behest of Yashida, a dying tech CEO he saved from atomic annihilation in Nagasaki while he was the young Japanese officer's captive during World War II. Yashida offers to cure Logan of the wearying immortality that has led to his outliving all of his loved ones if he will allow the old man to take on Wolvie's healing factor for his own rejuvenation. It is a tempting offer for Logan who is still haunted by the ghost of Jean (Famke Janssen), the woman he loved and was forced to execute (back in 2006's X-Men: The Last Stand). But before Logan has a chance to decide, Yashida dies and his mysterious doctor (Svetlana Khodchenkova) disappears... along with Wolverine's healing ability. The adamantium-clawed hero is soon drawn into a family power struggle: Yashida's bitter son Shingen (Hiroyuki Sanada) has been passed over for beautiful granddaughter Mariko (Tao Okamoto) who inherits the bulk of Clan Yashida's holdings. Logan and Yashida bodyguard Yukio (Rila Fukushima) team up to protect Mariko as she tries to outrun yakuza enforcers in Shingen's employ. This sets up a breathtaking brawl between the assassins and Logan on top of a speeding bullet train. Before long, even ninjas are involved in trying to stop Logan, finally downing him with a poison-tipped arrow in a snowy mountain town reminiscent of any number of Eastern movie settings and mirroring The Wolverine's prologue in which Logan mourns a grizzly bear broken in much the same way. It all makes for an exciting picture in the vein of pursuit thrillers like The French Connection and Ronin, crime sagas with an epic international scope that offer a realism that runs counter to previous, artificially sweetened X-Men entries. If we must have more comic-book blockbusters, then let's have more like this or Captain America: First Avenger, films that subvert expectations with a simple adjustment of locale or period setting in order to come up with something original. The Wolverine goes deep into Japanese culture with a reverence often lacking in stereotypical action travelogues like You Only Live Twice that poke fun at some of the natural dissonance that arises out of the clash between Western and Eastern cultures. The Wolverine may not get everything right, but it treats Japanese culture with respect and ponders implications that Western involvement in the region, whether in the form of the A-bomb, economic and political interests, or Wolverine himself, does more harm than good. What ultimately undoes The Wolverine is the flat unimaginative style in which journeyman James Mangold (Walk the Line) directs it. With its obvious affinity for crime films and its depiction of a stripped down warrior out of his depth, The Wolverine often feels analogous to a neo-noir. Add its mysterious culture, and the actioner is ripe for more expressionistic cinematography, a quality sorely lacking. When you also consider the formulaic way the movie descends into a typical superhero mano-a-mano in its final minutes (complete with the now-required post-credit setup for the next installment of the series), nearly all of The Wolverine's most imaginative details dissipate. One is left remembering not how far The Wolverine went but that it didn't go far enough. I haven't seen Wolverine yet, but the overblown ending is starting to seem like a Mangold trademark. I liked 310 to Yuma up until the ending, and then I thought he totally ruined it by a choice he made. Hoping for better from this one, you've given some reason to think the good outweighs the bad.